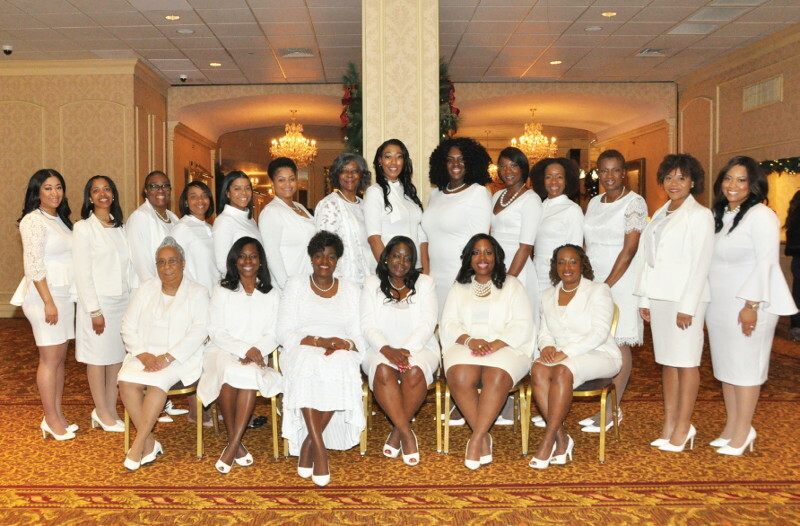 On Sunday, December 23, 2018, Alpha Kappa Alpha Sorority, Inc. Epsilon Kappa Omega Chapter welcomed 41 new members during their New Members Luncheon at the Pfister Hotel in downtown Milwaukee. This year the sorority welcomed the largest group of initiates ever, since it was founded in 1949. In attendance this year was Epsilon Kappa Omega Chapter President Dara Atandare; Epsilon Kappa Omega Membership Chairman Gretchen Campbell; AKA Central Regional Director Sonya L. Bowen; and AKA 29th International President Dorothy Buckhanan Wilson. This year’s new members are Nkenge Adams, Angela Alexander, Alana Allen, Alicia Berry, DaLynn Brookshire-Cain, Sheila Chapman, LaQuitta Clipps, Berdie Cowser, Vernetta Dawson- Paul, Larissa Ellis, Paris Farrington, Shawanda Ford, Arlevea Freeman, Kiyah Ghee, Kari Gipson, Tiffany Harbour, Carla Harris, Shawndrika Hazelwood, Marquita Hicks, Kimberly Jackson, H’Vyn Jones, Brianna Kendrick, Mildred Lewis, Alexiah Love, Octavia Manuel-Wright, Rachel Nabors, Yvonne Perry, Ashley Presley, Paris Rawlinson, Joanne Sabir, Amirah Smith, Deysha Smith-Jenkins, Latoya Stamper, Valivia Strong -Belin, Taahiraa Thomas, Latoya Walker, Sephora Wawa, Angelica Weary, Jocelyn Whorton, MaKisha Williams, and Bianca Willingham.